5 HTP (5 Hydroxy Tryptophan) an amino acid extracted from the seeds of the Griffonia plant has been shown to be safer and more effective than prescription drugs in treating conditions associated with low levels of serotonin. Serotonin is the neurotransmitter that regulates our mood, appetite, and sleep. Lowered levels of serotonin may cause depression, obesity, insomnia, or otherwise interfere with our functioning at our peak levels both mentally and physically. 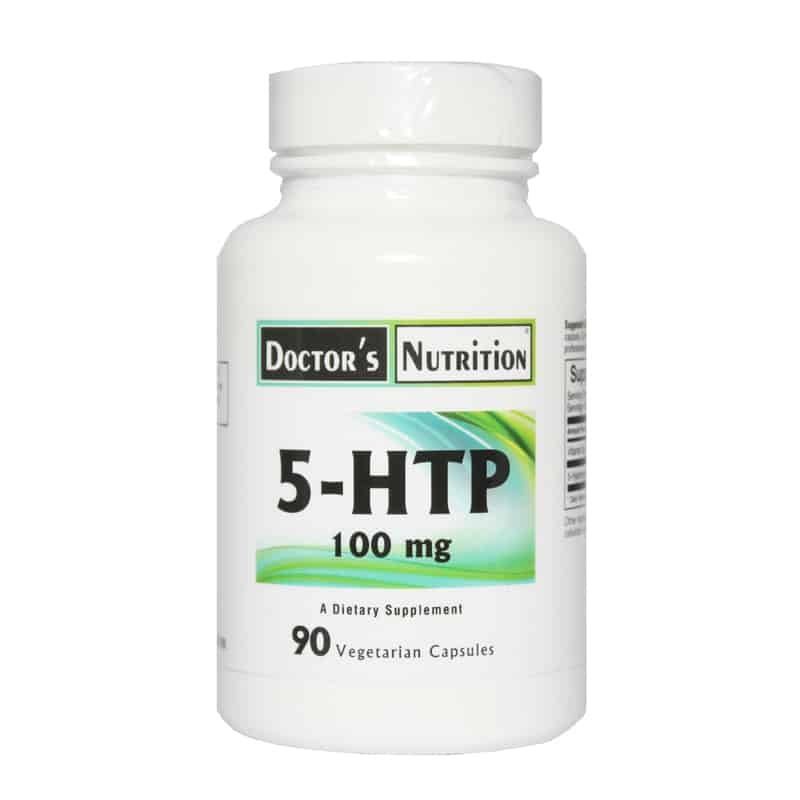 5 HTP will safely and efficiently boost our serotonin levels and help reduce depression, obesity, anxiety, and migraine headaches. 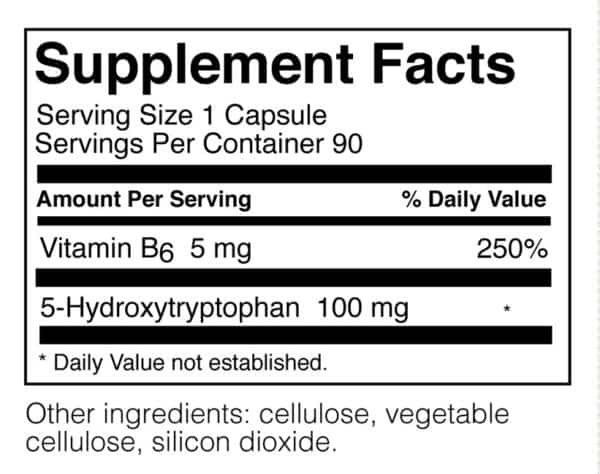 CAN NOT BE TAKEN WHILE TAKING PRESCRIPTION ANTI-DEPRESSANTS. Suggested Use: Take 1 capsule, 2-3 times daily on an empty stomach, or as professionally directed.